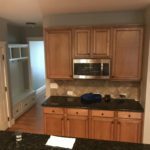 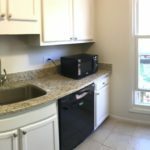 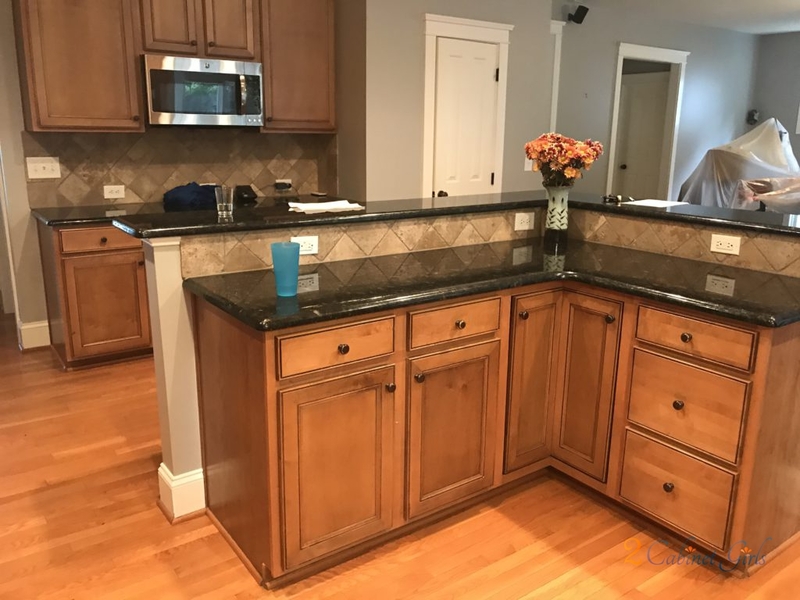 This Holly Springs kitchen had so much going for it. 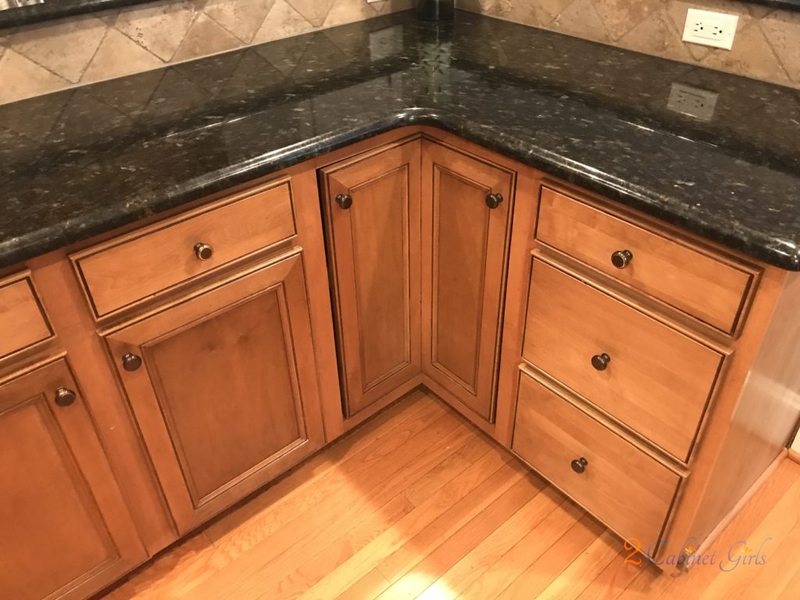 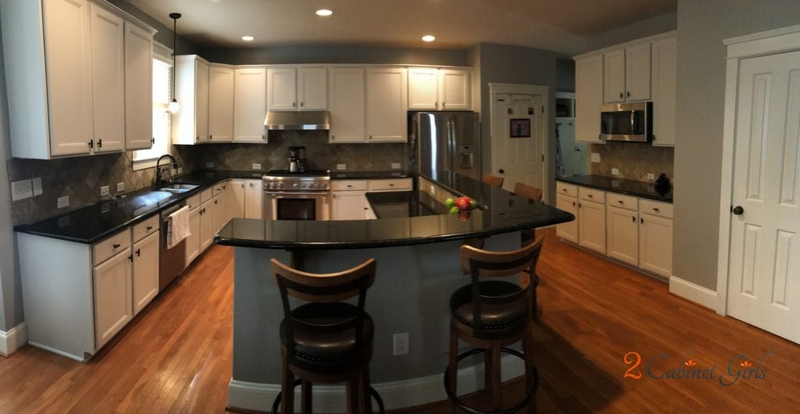 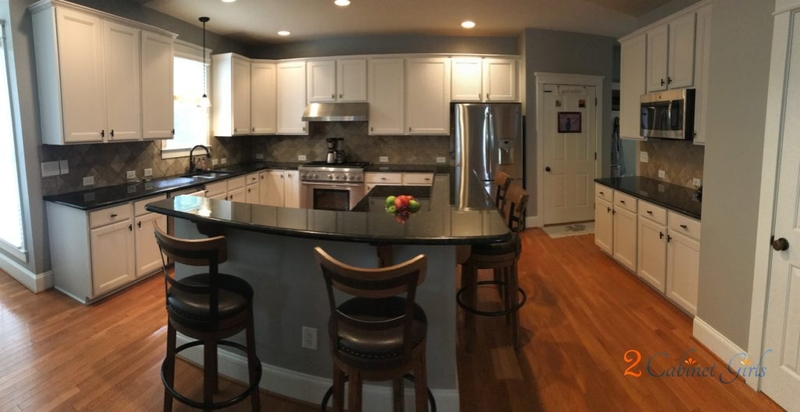 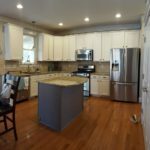 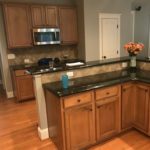 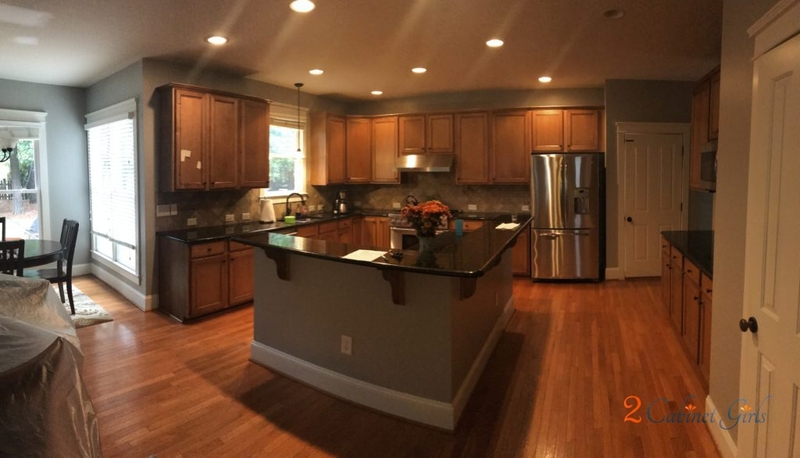 Tons of counter space and loads of cabinets and drawers. 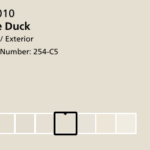 What it didn’t have….a feeling of brightness. 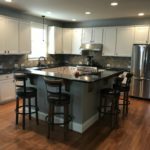 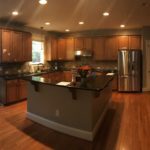 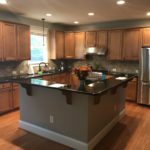 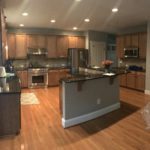 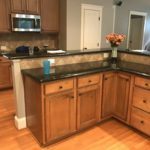 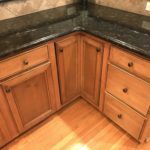 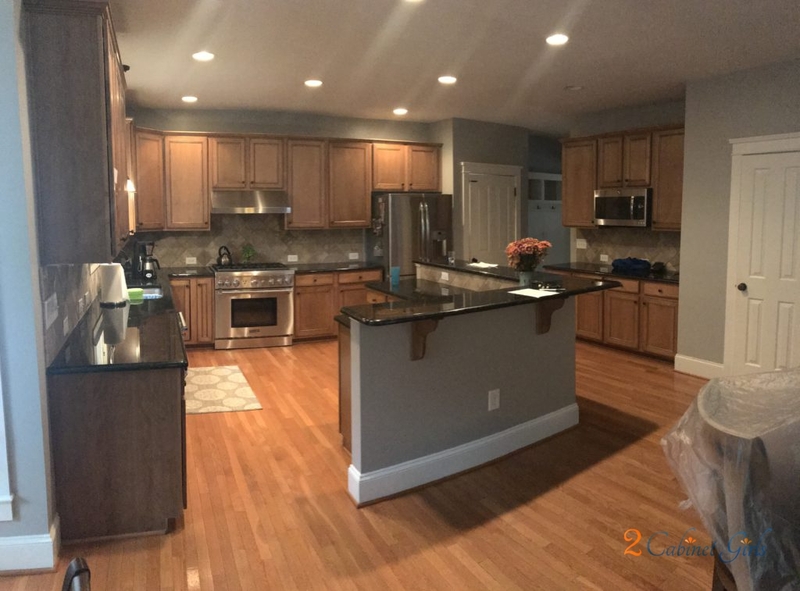 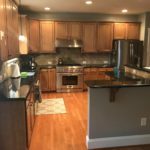 It was being overwhelmed by the orange tones in the cabinets and the flooring. 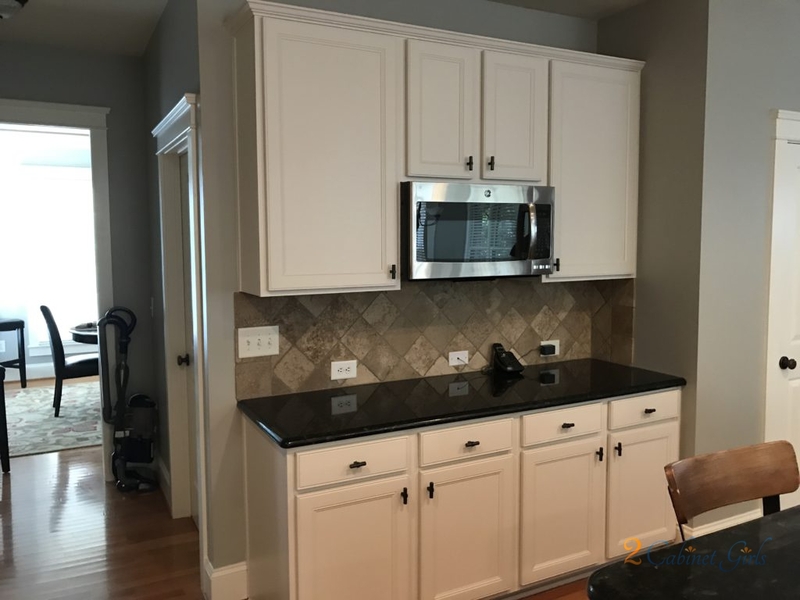 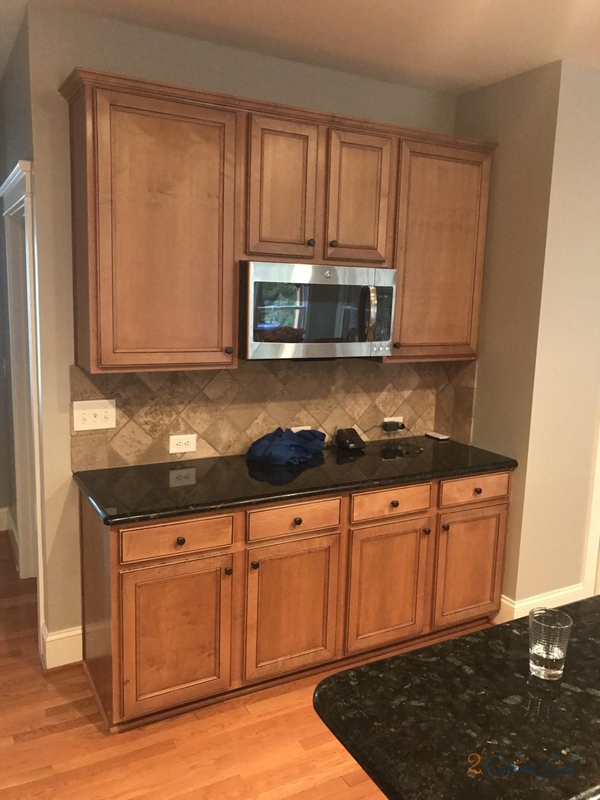 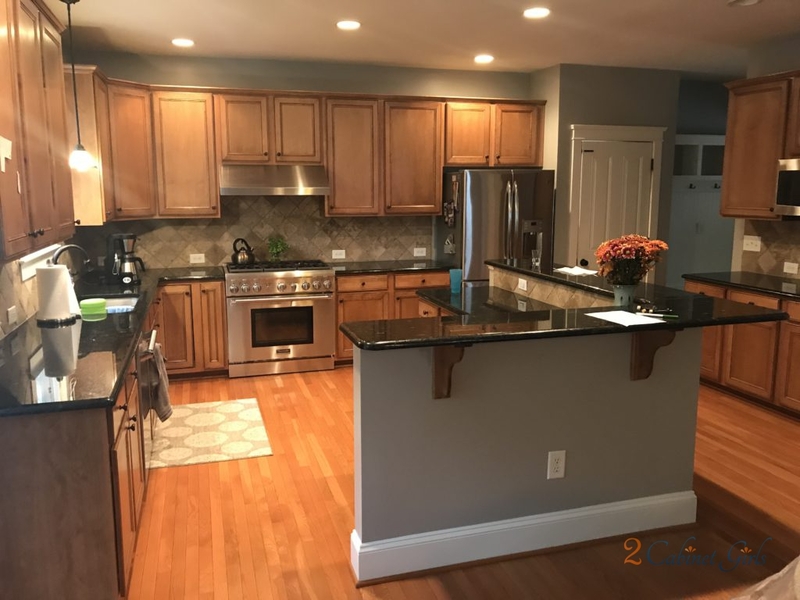 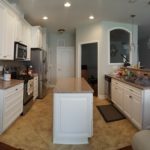 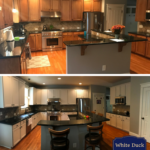 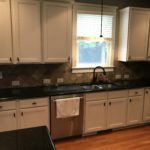 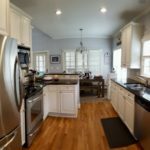 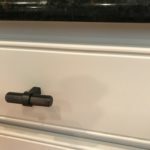 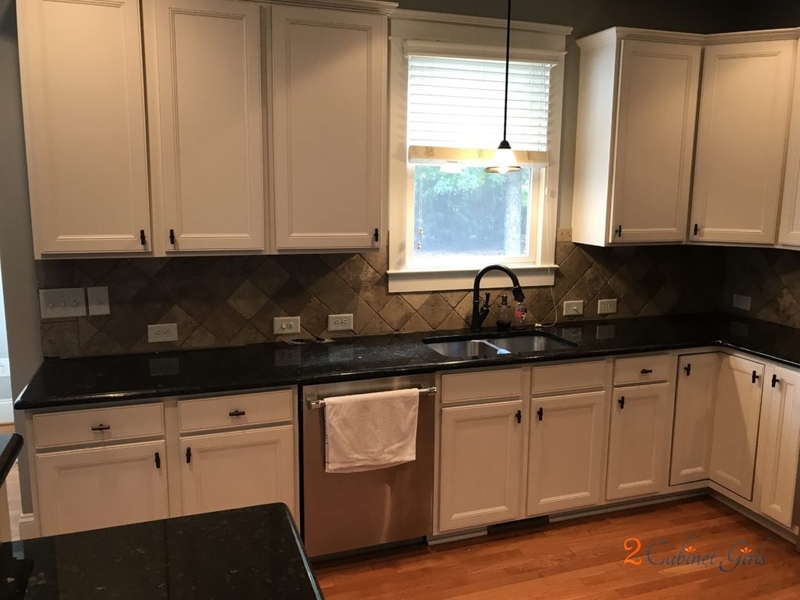 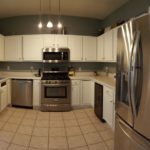 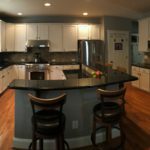 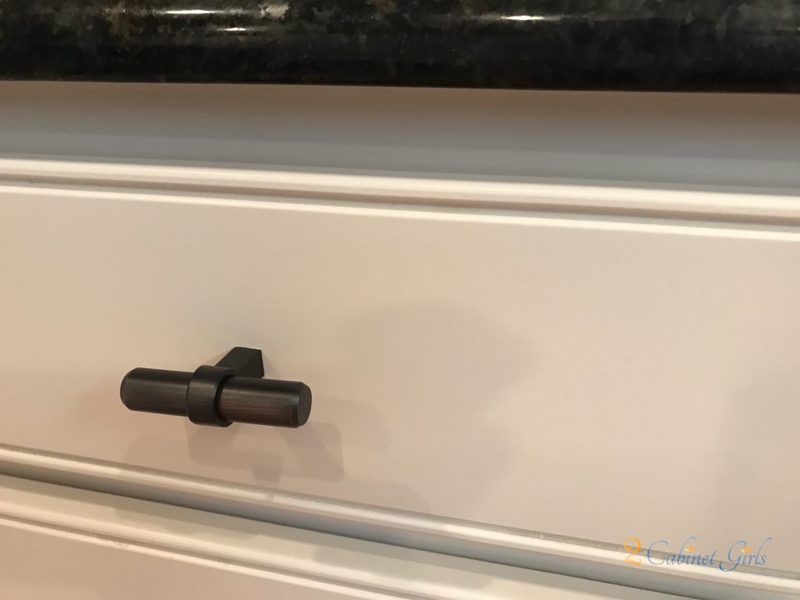 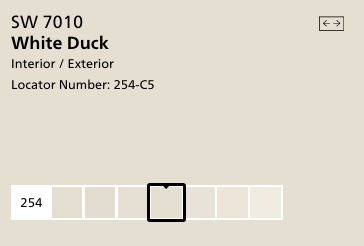 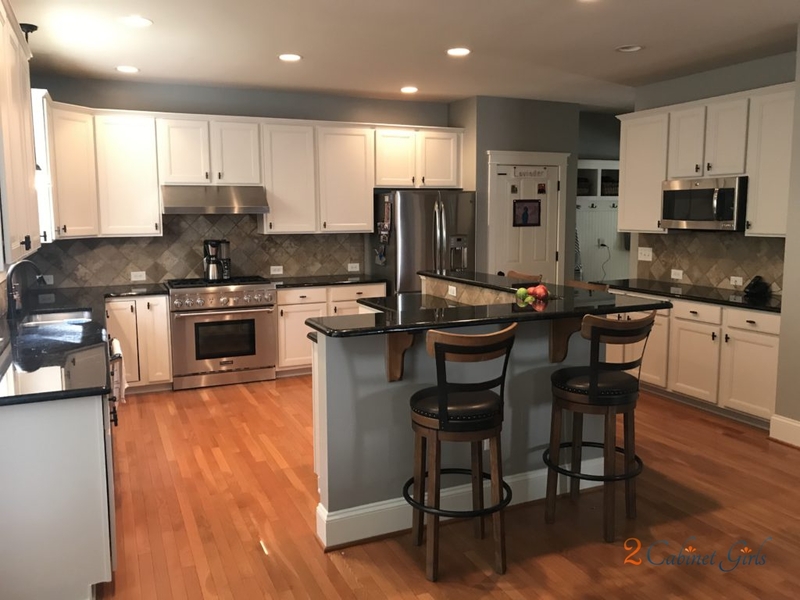 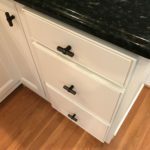 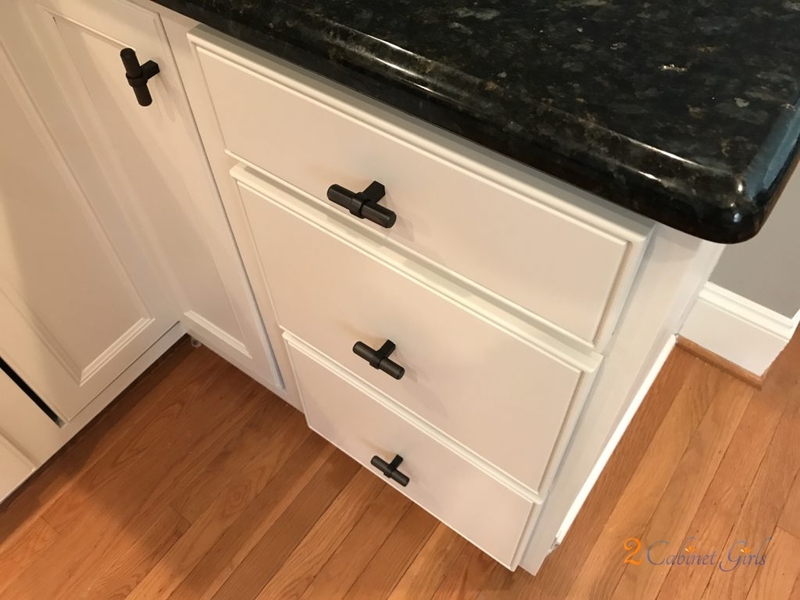 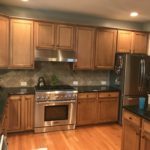 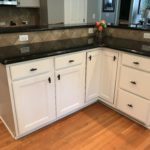 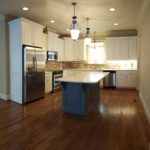 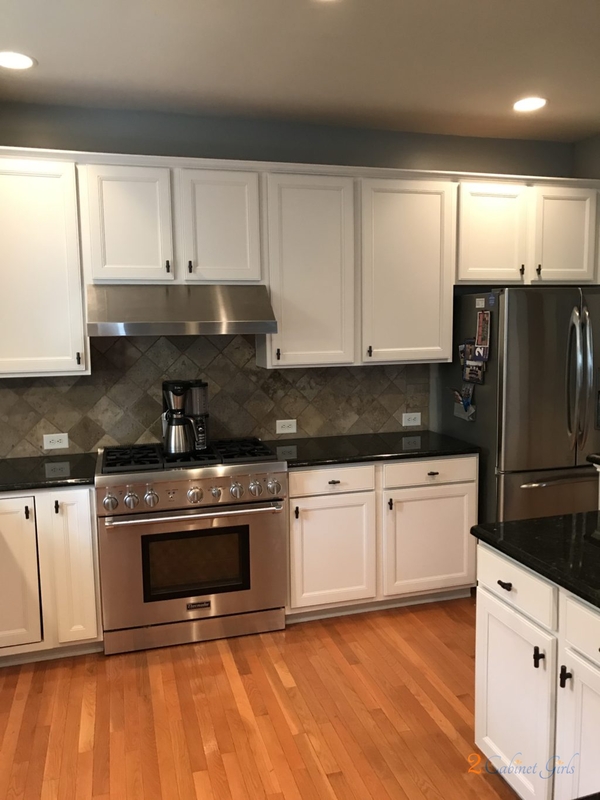 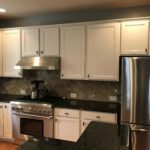 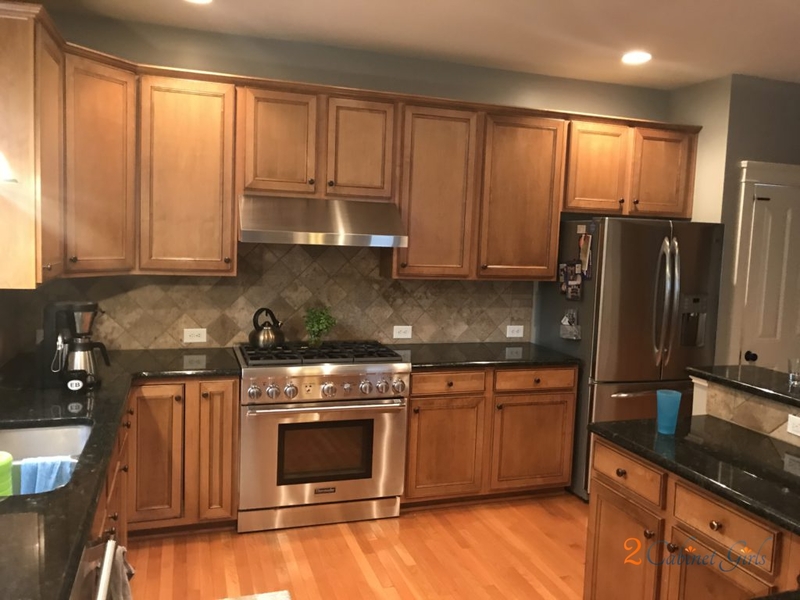 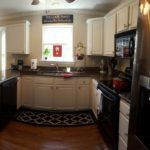 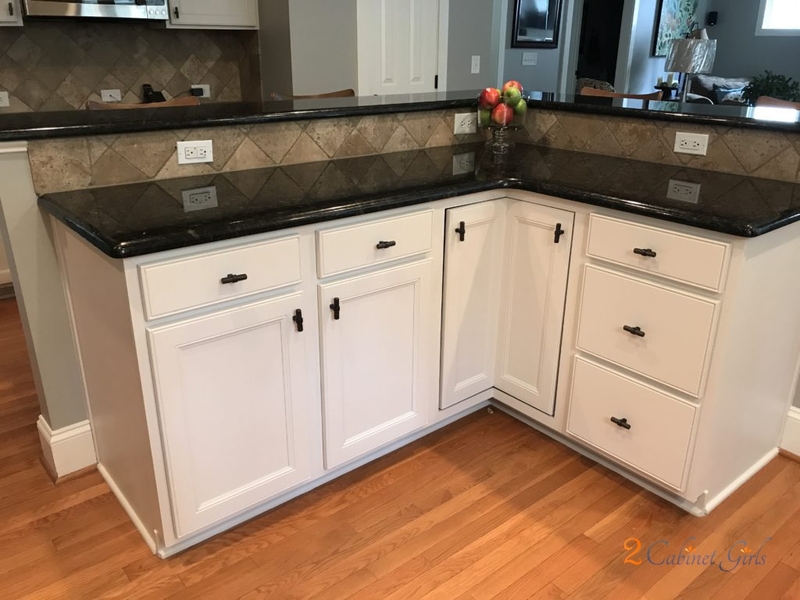 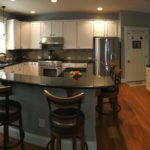 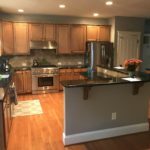 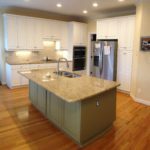 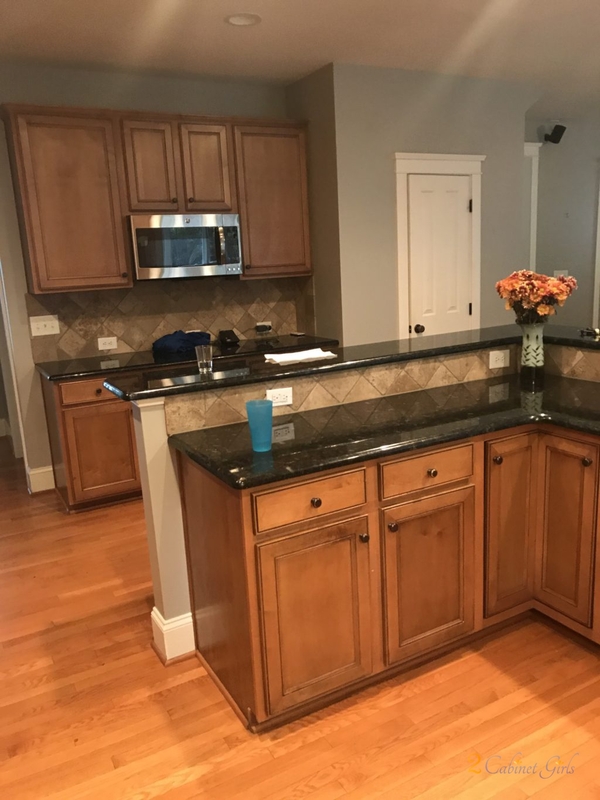 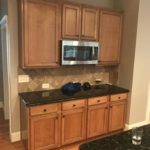 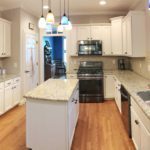 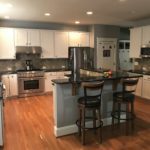 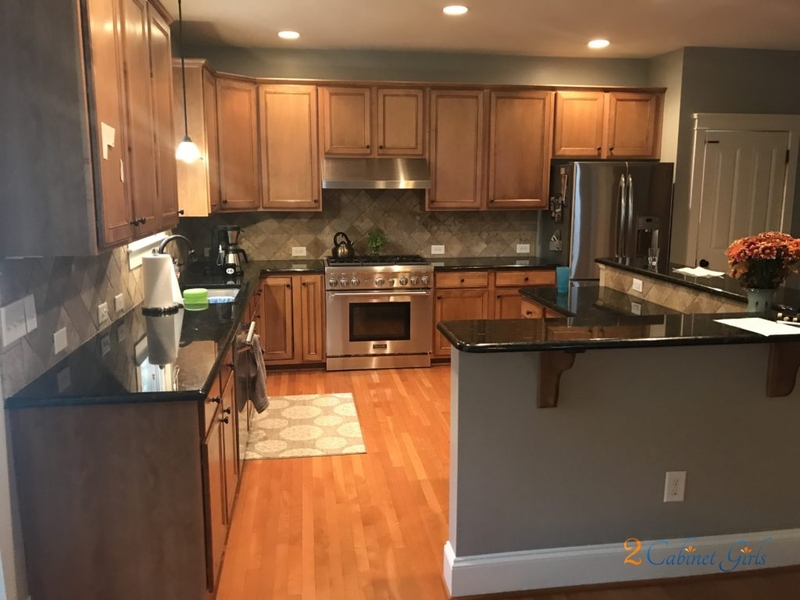 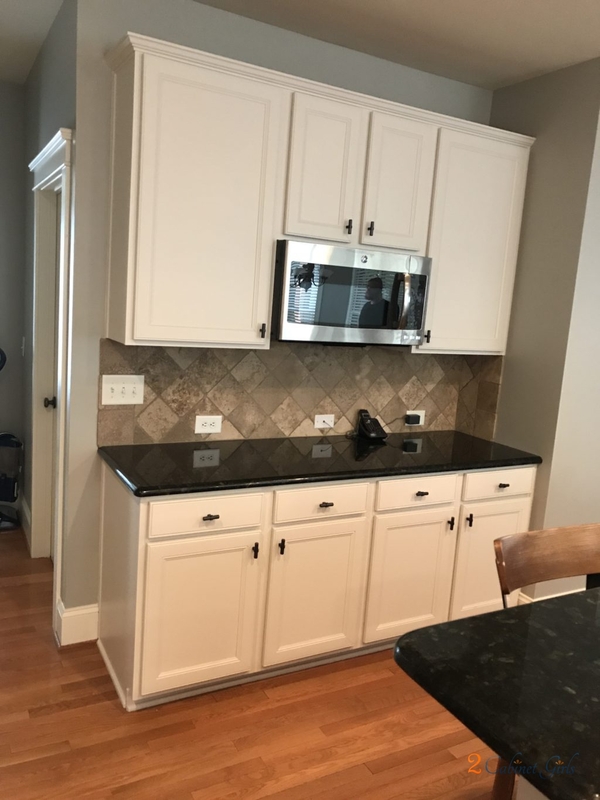 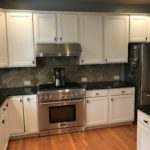 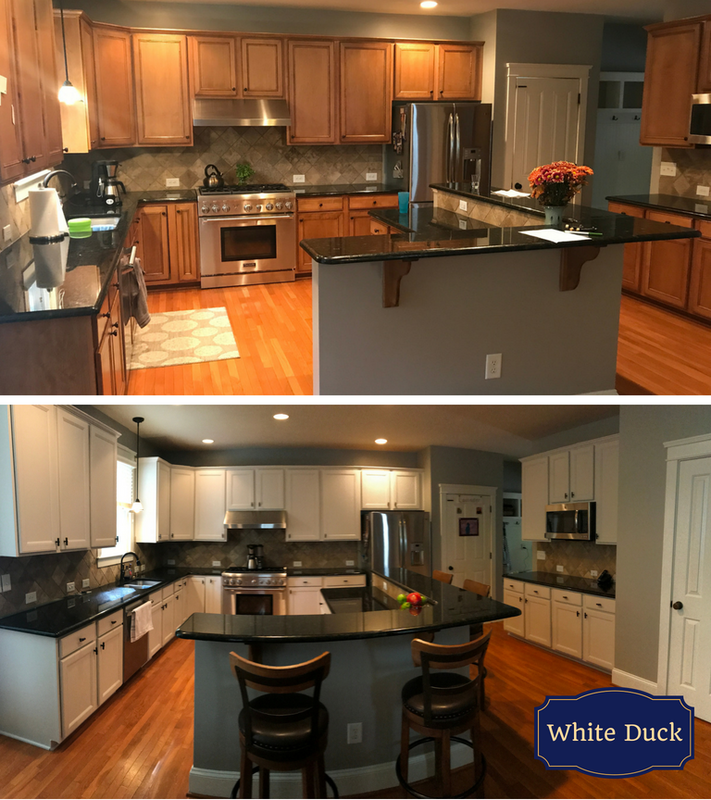 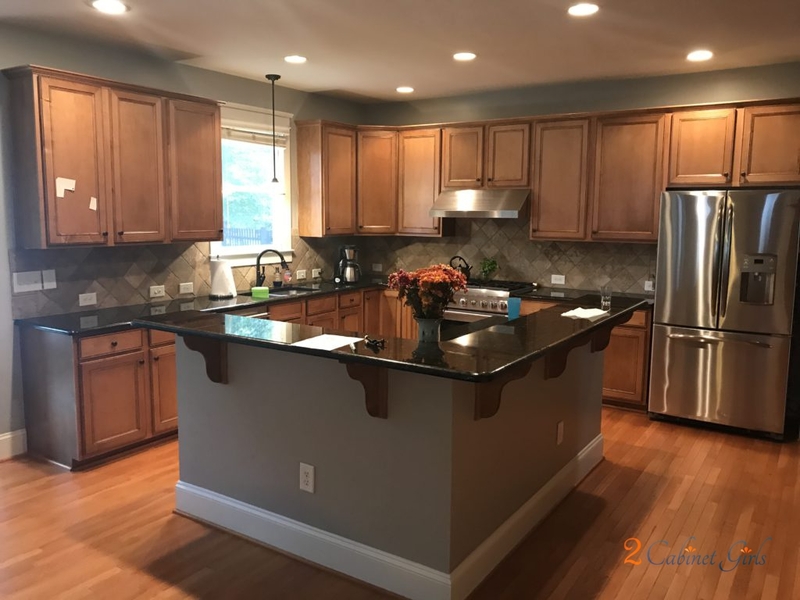 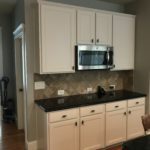 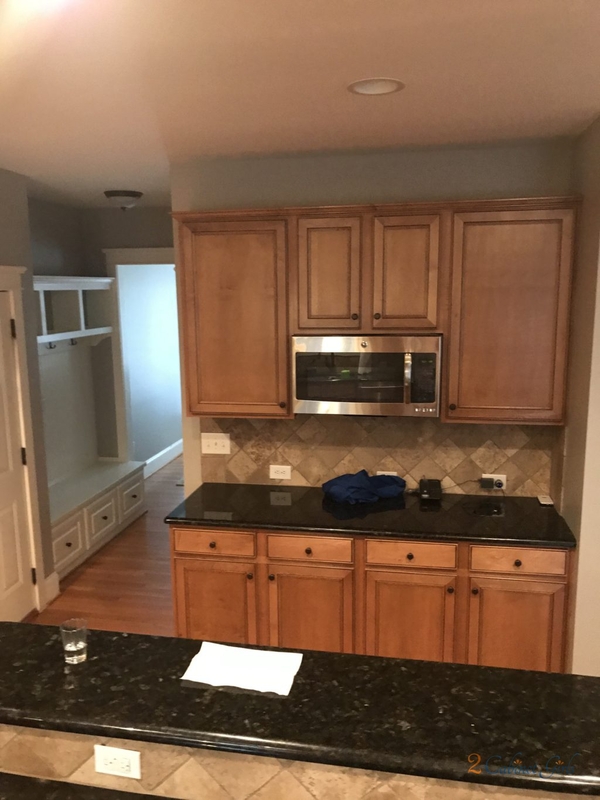 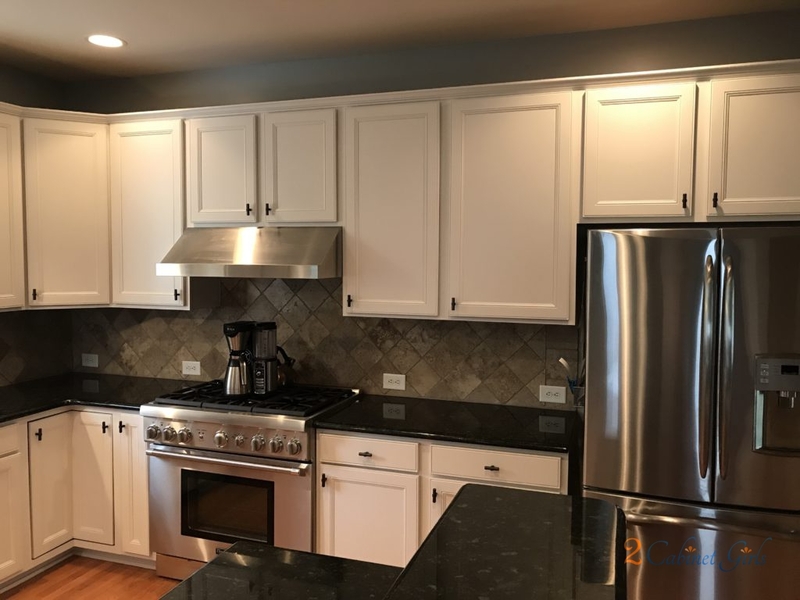 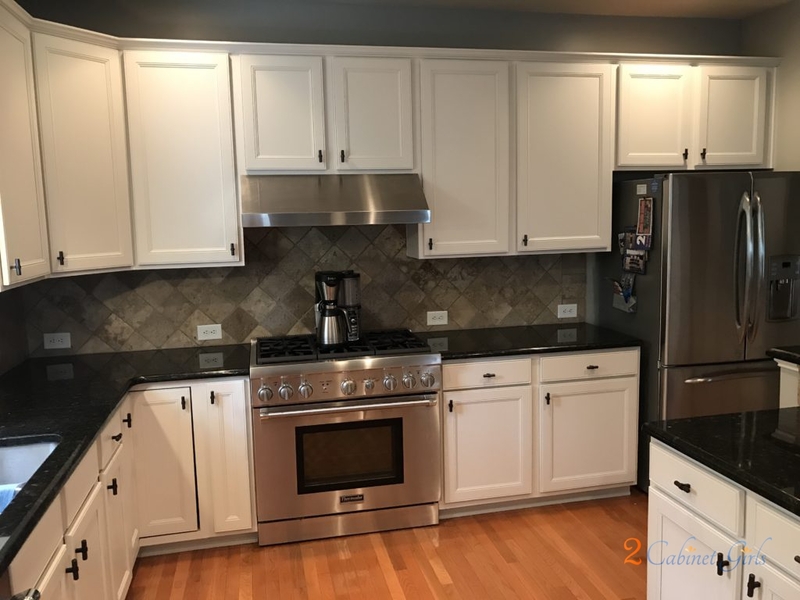 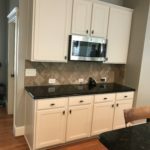 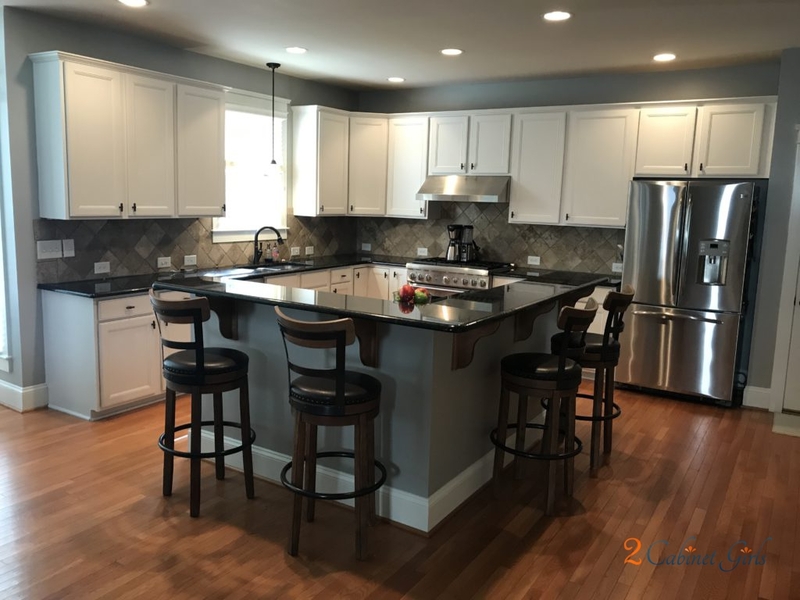 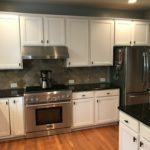 Lightening up the cabinets with a Sherwin Williams shade called White Duck, that has soft brown undertones, helped to neutralize all the orange, while also helping the lights to reflect around the room and make it feel brighter.